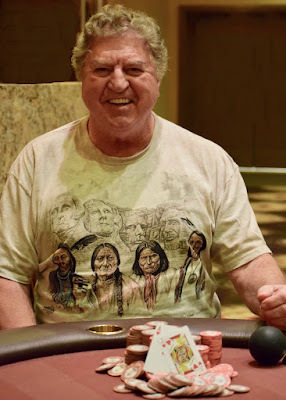 Rick 'Duff' Defer eliminates James Van Brunt in 3rd place to make a 3-1 chiplead in to heads-up play against Matt Boddorf in today's $100 Hold'em. Boddorf picks up an Ace preflop and moves all in, gets a call from Defer and then finds they both have Aces, with Defer's Jack bigger than Boddorf's 3. Both players pair their kicker and Defer earns the victory.